In last week’s article, Placebo Economics, I compared the Federal Reserve’s primary strategies (Quantitative Easing and Zero Interest Rate Policy) for dealing with the recession to medical “placebos”. I.e., they had little or no fundamental effect in themselves, but might still be useful so long as the public believed in them. “ZIRP [Zero Interest Rate Policy] and QE [Quantitative Easing] have failed in Japan, the EU and US because the [people] no longer believe in the efficacy of those economic “placebos” or the wisdom of our “witch doctors” in the Federal Reserve and/or federal government. “Once we stop believing in the ‘witch doctors’ at the Federal Reserve, how will the Fed ever restore our belief and confidence in their economic placebos? Once we know that our witch doctors have nothing real (like gold- or silver-based money) to offer us and can only provide intrinsically-worthless placebos (fiat dollars; promises to pay rather than actual payments), the economy will not be healed by mumbo-jumbo and our economic witch doctors may be run out of town on rails. I was mistaken. There is another possible “way” back to prosperity besides by means of hard work, gold and silver. I don’t think this alternative “way” will work. But the temptation to try it will be almost irresistible. I have little doubt that that “way” will be tried by the Federal Reserve and/or the federal government. “A federal judge has given a green light for Detroit to proceed with its bankruptcy, the largest municipal bankruptcy in history. “The ruling opens the door for the city to cut billions of dollars in payments that are owed to city employees, retirees, investors and other creditors. “If you pile up a huge debt that you are not being able to pay back, your creditor has all the right to sell your account to a debt collection agency. 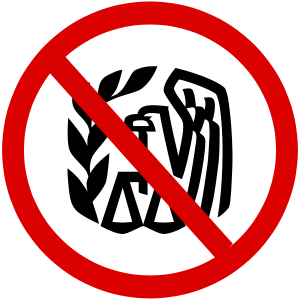 “But Fair Debt Collection Practices Act states that if a debtor disputes his debt within 30 days of receiving his collection letter, it will immediately put a stay order on the collection activity of your creditor. Further collection activity could commence only after your debt amount is verified by the creditor. 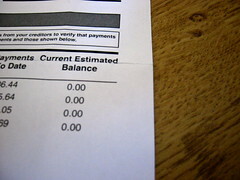 But if you do not send any type of dispute letter or debt settlement letter (http://www.ovlg.com/letters/) to your creditor, he will be within his rights to pursue his collection effort. “Now, employing our legal rights given by FDCPA, we can settle our debt for less than we owe. "The State" vs. "this state"